Professor Nelson obtained his Ph.D. from the University of North Carolina at Chapel Hill in 1981. 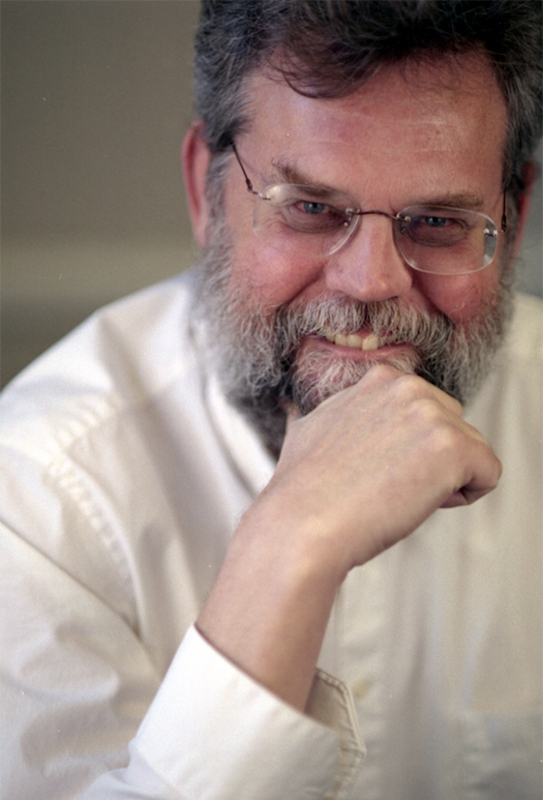 In addition to positions with the U.S. Treasury and The World Bank, he has held regular faculty positions at Rutgers University, University of Texas-Dallas, and Syracuse University, and has held visiting positions at Washington University in St. Louis, the Australian National University, the University of Nottingham, and Karl-Franzens-Universitat Graz. He is currently an external fellow of the Leverhulme Centre for Research on Globalisation and Economic Policy at the University of Nottingham. His primary research interests lie in the areas of political economy of trade policy, the empirical link between globalisation and wages, and trade and trade policy under increasing returns to scale. with J.M. Finger, and H. Keith Hall, “The Political-Economy of Administered Protection”. American Economic Review, V.72-#3, 1982, pp. 452-466. “Why World Systems Theory: Accepting a New Paradigm”. International Interactions. (1983) V.9-#4, pp. 353-368. “Endogenous Tariff Theory: A Critical Survey”. American Journal of Political Science. (1988) V.32-#3, 796-837. “The Domestic Political Preconditions of US Trade Policy: Liberal Structure and Protectionist Dynamics”. Journal of Public Policy. (1989) V.9-#1, pp. 83-108.
with H. Keith Hall. “Institutional Structure and Time Horizon in a Simple Political-Economy Model: The Lowi Effect”. (1989) International Spectator; V.24-#3/4, pp. 153-173.
with H. Keith Hall, “Institutional Structure and the Political-Economy of Protection: Administered versus Legislated Protection”. 1992, Economics and Politics. V.4-#1, pp. 61-77.
with Thomas Gresik, “Incentive Compatible Regulation of a Foreign-owned Subsidiary”. Journal of International Economics; 1994, V.36-#3/4, pp. 309-331.
with Mary Lovely. “Illegal Trade and Endogenous Tariff Formation”. Public Finance/Finance Publique, 1994, V.49-#supplement, pp. 182-194.
with Mary Lovely. “Smuggling and Welfare in a Ricardo-Viner Economy”. Journal of Economic Studies; 1995, V.22-#6, pp. 26-45.
with H. Keith Hall and Chihwa Kao. “Women and Tariffs: Testing the Gender Gap Hypothesis in a Downs-Mayer Political-Economy Model”. Economic Inquiry, 1998, V.36-#2, pp. 320-332.
with Joseph Francois. “Trade, Technology and Wages: General Equilibrium Mechanics”. Economic Journal, 1998, V.108-#450, pp. 1483-1499.
with Oliver Morrissey. “East Asian Economic Performance: Miracle or Just A Pleasant Surprise?”. World Economy, 1998, V.21-#7, pp. 855-879. “Problems in the Political Economy of Trade Policy Reform”. Journal of International Trade and Economic Development, 1999, V.8-#1, pp. 3-26.
with Mary Lovely. “Marginal Intra Industry Trade and Labour Adjustment”. Review of International Economics, 2000, V.8-#3, pp. 436-447.
with David Greenaway. “The Assessment: Globalization and Labour-Market Adjustment”. Oxford Review of Economic Policy, 2000, V.16-#3, pp. 1-11.
with Noel Gaston. “Immigration and Labour-Market Outcomes in the United States: A Political-Economy Puzzle”. Oxford Review of Economic Policy, 2000, V.16-#3, pp. 104-114.
with Craig Murphy. “International Political Economy: A Tale of Two Heterodoxies”. British Journal of Politics and International Relations; 2001, V.3-#3, pp. 393-412.
with Joseph Francois. “A Geometry of Specialization”. Economic Journal, 2002, V.112-#481, pp. 648-677.
with Noel Gaston, “Integration, FDI and Labour Markets: Microeconomic Perspectives”. 2002, Manchester School, V.70-#3, pp. 420-459.
with Mary Lovely, “Intra-Industry Trade as an Indicator of Labor-Market Adjustment”. 2002, Weltwirtschaftliches Archiv; V.138-#2, pp. 179-206.
with Noel Gaston, “Structural Change and the Labor Market Effects of Globalization”. 2004. Review of International Economics; V.12-#5, pp. 769-792.
with Robert Baldwin and Tain-jy Chen, The Political Economy of US-Taiwan Trade. 1995, University of Michigan Press. “On the High Track to Protection: The US Automobile Industry, 1979-1981.” in S. Haggard and C. Moon, Pacific Dynamics: The International Politics of Industrial Change. (1989) Boulder: Westview Press; pp. 97-128. “The Welfare State and Export Optimism,” in D. Pirages and C. Sylvester, eds. The Transformations in the Global Political Economy. (1990) London: St. Martins. pp. 127-152. “Trade Policy Games: Economics, Politics and the Theory of Games”. in C. Murphy and R. Tooze, eds. The New International Political Economy. (1991) Boulder: Lynne Rienner. pp. 129-146.
with Robert Baldwin, “The Political-Economy of US Taiwanese Trade”. in A. Krueger and T. Ito, eds. Trade and Protectionism. 1993, Chicago: University of Chicago Press, pp. 307-333. “Political Economy of Protection for the US Automobile Industry”. in A. Krueger, ed. Political Economy of American Trade Policy. 1995. Chicago: University of Chicago Press/NBER, pp. 133-191. “Making Sense of the 1981 Automobile VER: Economics, Politics and the Political Economy of Protection”. in A. Krueger, ed. The Political Economy of Trade Protection. 1995. Chicago: University of Chicago Press/NBER, pp. 35-42.
with Joseph Francois and David Palmeter. “Public Procurement in the United States: a Post-Uruguay Round Perspective”. in B. Hoekman and P. Mavroidis, eds. Law and Policy in Public Purchasing: The WTO Agreement on Government Procurement. 1997, Ann Arbor: University of Michigan Press, pp. 105-124.
with Joseph Francois. “Population Growth, Trade Policy and Migration Incentives”. in R. Baldwin and J. Francois, eds. Dynamic Issues in Applied Commercial Policy Analysis. 1999, New York: Cambridge University Press/CEPR. with David Greenaway, “Globalisation and Labour Markets: Introduction”. In D. Greenaway and D. Nelson, eds. Globalization and Labour Markets. 2001, Cheltenham: Edward Elgar, pp.ix-li. with Craig Murphy, “Conclusions:Explaining a Thriving Heterodoxy” In Jason Abbott and Owen Worth, eds. Critical Perspectives on International Political Economy. 2002, Basingstoke: Palgrave Macmillan, pp. 178-191.
with N. Gaston, “The Wage and Employment Effects of Immigration: Trade and Labour Economics Perspectives”. In D. Greenaway, R. Upward, and K. Wakelin (Eds.) Trade, Investment, Migration and Labour Market Adjustment. 2002, Basingstoke: Palgrave Macmillan, pp. 201-235.
with Oliver Morrissey, “The WTO and the Transfer of Policy Knowledge: The Case of Trade and Competition Policy”. In Harry Bloch, ed. Growth and Development in the Global Economy. 2003, Cheltenham: Edward Elgar, pp. 235-251.
with Joseph Francois, “Monopolistically Competitive Provision of Inputs: A Geometric Approach to the General Equilibrium”. In S. Brakman and B.J. Heijdra, Eds. The Monopolistic Competition Revolution in Retrospect. 2003, Cambridge: Cambridge University Press, pp. 185-210.
with Keith Hall. “The Peculiar Political Economy of NAFTA: Complexity, Uncertainty and Footloose Policy Preferences”. In Arvind Panagariya and Devashish Mitra, eds. The Political Economy of Trade, Aid and Foreign Investment Policies: Essays in Honor of Ed Tower. 2004, Amsterdam: Elsevier, pp. 91-109. “The Political Economy of Policy Reform: The Origins and Dynamics of Policy Improvement”. in Douglas Nelson, ed. The Political Economy of Policy Reform: Essays in Honor of J. Michael Finger. 2005. Amsterdam: Elsevier, pp. 1-21.
with Oliver Morrissey. “The Role of the World Bank in the Transfer of Policy Knowledge on Trade Liberalisation”. in Douglas Nelson, ed. The Political Economy of Policy Reform: Essays in Honor of J. Michael Finger. 2005. Amsterdam: Elsevier, pp. 173-194.
with Robert Baldwin and J. David Richardson, “Symposium on The Political Economy of International Market Access”. World Economy; 1992, V.15-#6, pp.679-753. with David Greenaway, Globalization and Labour Markets. (2 Vols.). 2001, Cheltenham: Edward Elgar. The Political Economy of Policy Reform: Essays in Honor of J. Michael Finger. 2005. Amsterdam: Elsevier. with Hylke Vandenbussche, The WTO and Antidumping. forthcoming. Cheltenham: Edward Elgar. Review of John Adams and Sabia Iqbal, Exports, Politics and Economic Development, in Pakistan Development Review, V.23-#4, pp. 591-594.
Review of Jagdish Bhagwati, Protectionism in Journal of International Economics; (1989), V.26-#?, pp. 389-392. “The Political Economy of Trade Policy”, (Review of I.M. Destler and John Odell Anti-Protectionism and Helen Milner Resisting the Protectionist Temptation), in Economics and Politics, (1989), V.1-#3, pp. 301-314. Comment on Helen Milner’s chapter in Aggressive Unilateralism (Ann Arbor: University of Michigan Press), pp. 184-188.
Review of Ken Binmore, Essays on the Foundations of Game Theory; in Social Choice and Welfare, (1992), V.9-#?, pp. 167-179.
with Robert Baldwin and J. David Richardson, “Introduction and Overview of Symposium on The Political Economy of Market Access”. World Economy; 1992, V.15-#6, pp. 679-683.
Review of Daniel Verdier, Democracy and International Trade, in Journal of International Economics, (1995), V.39-#1/2, pp. 187-192.
Review of Social Dimensions of US Trade Policies, edited by A. Deardorff and R. Stern. In World Economy, 2001, V.24-#4, pp. 591-592.
Review of Globalisation and the Perceptions of American Workers, by Kenneth Scheve and Matthew Slaughter, in World Economy; 2002, V.25-#1, pp. 167-169.